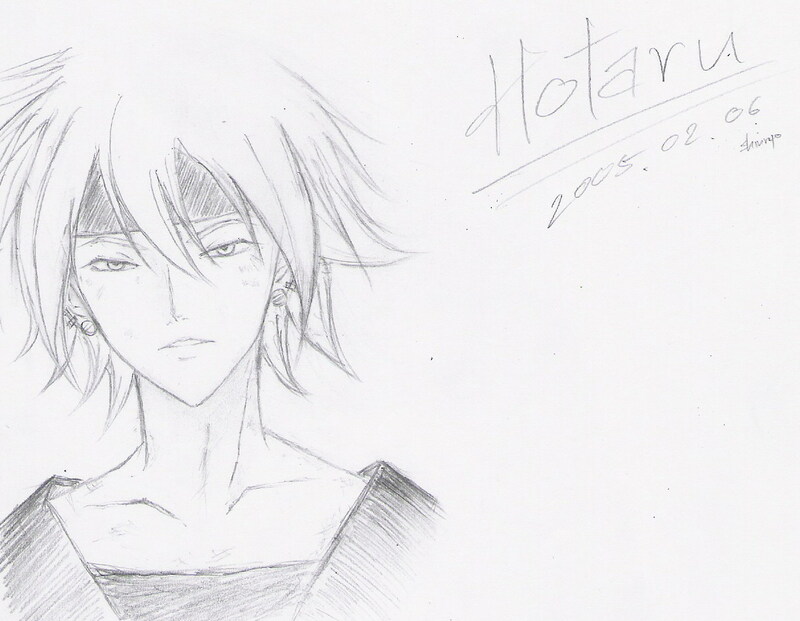 Phew.......... Hotaru is really hard to draw. This is the character I like most in Samurai deeper Kyo. He's really hot when he was in the battle. I love him when he's got blood paint (I don't know what to call it) on his body or his face > <. Wow, nice pencil sketching skills for this one. The character looks quite proportionate. Love the lines . Nice work for this one . wow... Hotaru!! he's really well done... ^^ then again, i think pretty much any SDK character is hard to draw loll, well, great job, keep it up!! i like this one.. =] nicely done!